Magnia Urbica - Augusta of Imperium Romanum from ? to ? 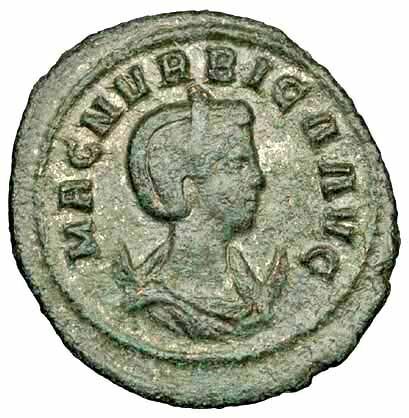 Magnia Urbica was wife of the emperor Carus, until recently mistakenly thought to be the wife of her own son Carinus. While both Carinus and Numerian were killed in 284 CE it is unclear what her own fate may have been or even if she predeceased them. She was granted the honorifics Augusta, and Mater castrorum, senatus ac patriae, "Mother of the (Military) camp, Senate and Fatherland".